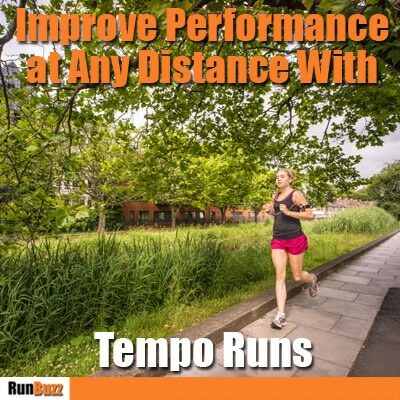 Tempo runs are a valuable part of any training program. While some types of training runs are more beneficial for longer or shorter races, tempo runs can help you improve performance at any distance, whether it be a 5K race or an ultra-marathon. Essentially, a tempo run is a faster-paced workout. But, to help break down the details, think of the run as a sandwich. The warm up and cool down phases are the slices of bread, holding together a comfortably hard pace or the meat. By “comfortably hard”, we mean a pace that’s challenging to maintain, but not to the point of where it feels like you’re racing. It’s not an all out effort, but still a pace where you’d be more than happy to slow down. 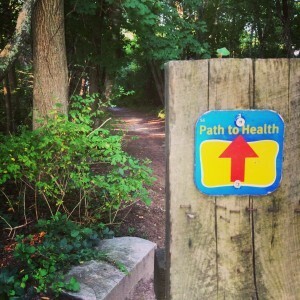 An article on Runners World provides more information on this concept. Since the majority of a tempo run is done at a comfortably hard pace, you are continually pushing yourself to run faster. Over time, this leads to an increase in speed. This gradual boost in pace is achieved because tempo runs progressively increase your lactate threshold, or the point at which your body will start to fatigue. This trains your body to use the byproducts of metabolism more effectively. With a lower threshold and less training, byproducts produced during running can cause muscle fatigue and impede your ability to maintain your run. For a more detailed description on lactate threshold, listen to Podcast 27. Tempo runs may be difficult, but they’re important. Not only will these training runs increase your speed, they’ll also help you to focus on your pace, improve your technique, and build a tougher mental capability. By employing tempo runs in your training, you are teaching your muscles how to work harder and longer which will only help you to become a faster and more efficient runner. How Should I Incorporate Tempo Runs? Tempo runs are important in improving your performance, so make one of your weekly runs a tempo. Although tempo runs are considered speed work, they do not put as much stress on your body as other training runs. This means that you do not need a prolonged period of recovery after a tempo run. You can even do a tempo run one day and a long run the next. Tempo runs are great for any training distance, but, when preparing for races of longer distances, you should involve them during the peak of your training.